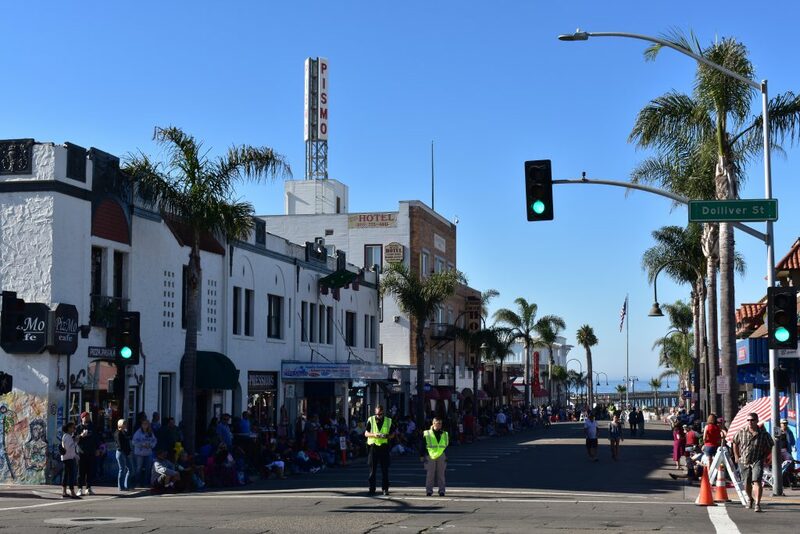 Visitors and locals crowd the sidewalks on Pomeroy Avenue in Pismo Beach eagerly waiting for the fun to begin! Pismo Beach Enthusiasts gather at Pomeroy and Cypress in Pismo Beach for the start of the annual Clam Festival Parade. 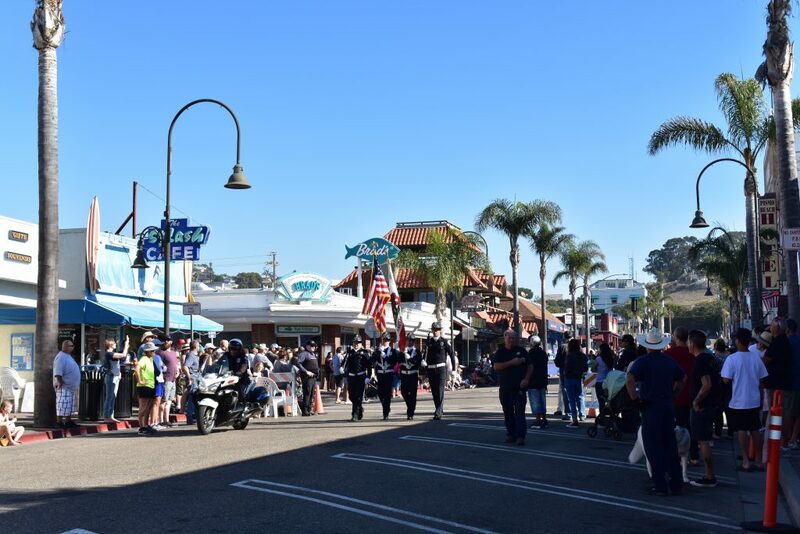 The Pismo Beach Clam Festival has been a favorite event of locals and visitors alike for over 70 years! 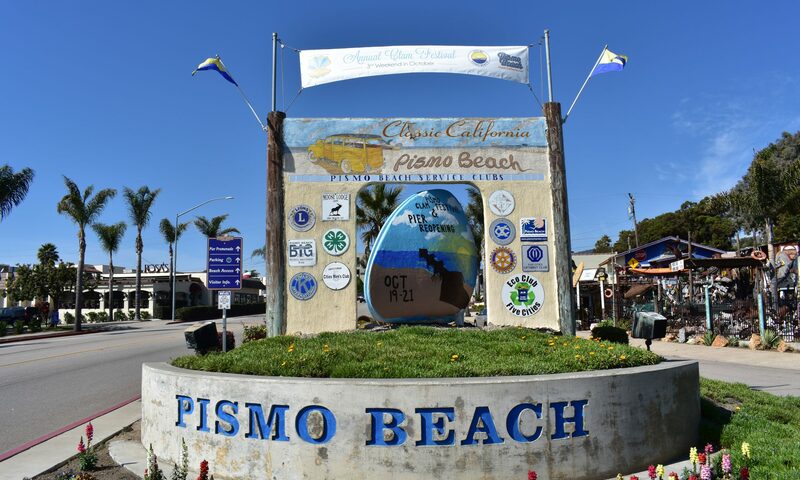 The first Clam Festival in Pismo Beach took place all the way back in 1946 when the city we know today was established. Back then the Pismo Clam was a common sight, even being harvested by the thousands with plows and draft animals. Today the clams can still be harvested legally out on Pismo Beach if they are large enough, but they’re no longer so plentiful. Plenty of local food purveyors, artisans, craftspeople, and more come out for the Clam Festival each year! Clam Chowder maybe not your thing? Try a local favorite, McLintocks BBQ, with an ocean view! 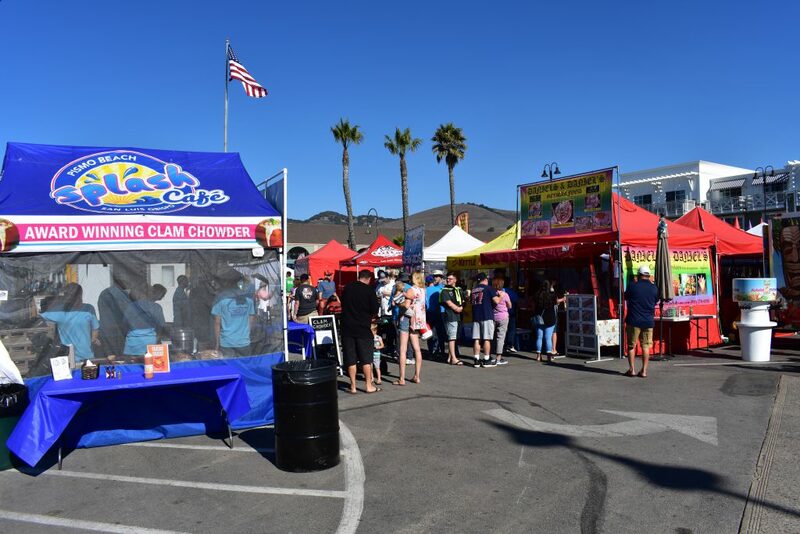 Despite the Pismo Clam’s rarity the Clam Festival still has a traditional Clam Bake and the main attraction the Clam Chowder contest! Local businesses, including world-renowned Splash Cafe, face off against each other with their mouth-watering bowls of steaming hot, creamy clam deliciousness! 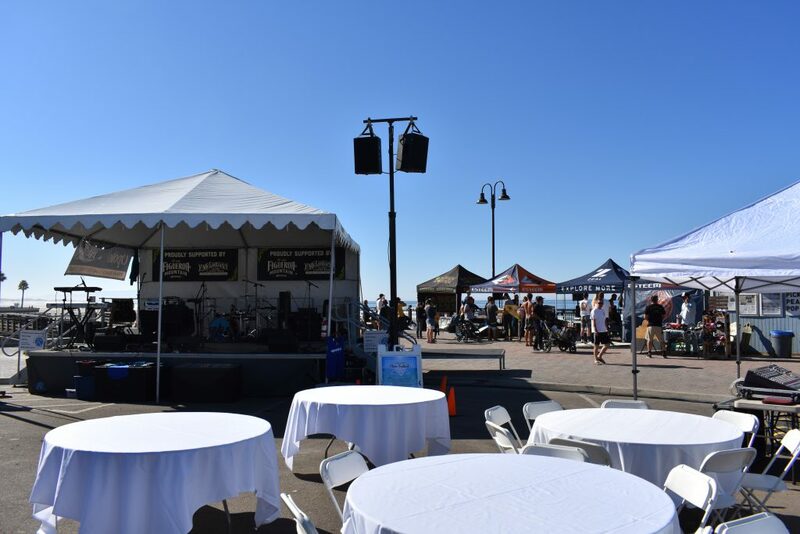 Attendees vote for their favorite and the winner is entitled to some of the best bragging rights on the Central Coast, but only until next year. 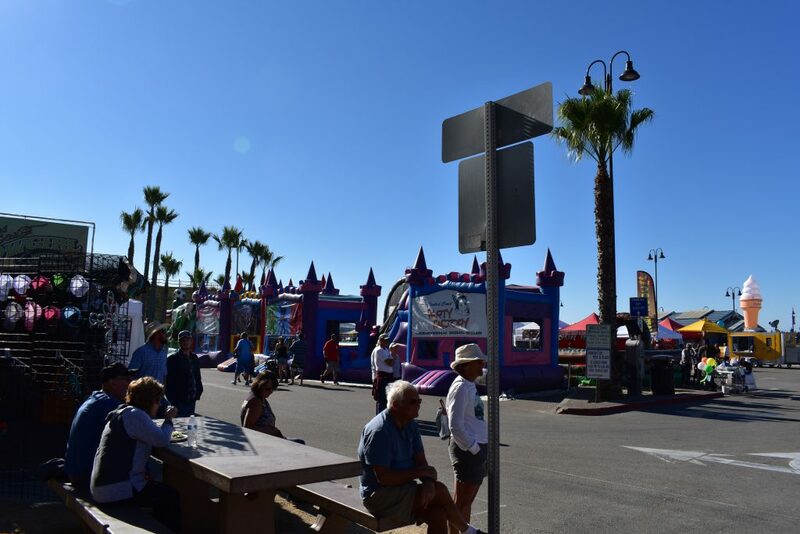 The Pismo Beach Clam Festival also typically includes a Friday Night Wine Walk where wineries, winemakers, and Downtown Pismo Beach businesses team up to pour amazing local wines, like our very own Pat McCann’s Pismodise Wines by Costa de Oro Winery, as you leisurely stroll around town meeting new folks. The Wine Walk ends with a drawing for a variety of prizes where all attendees have a chance to win. 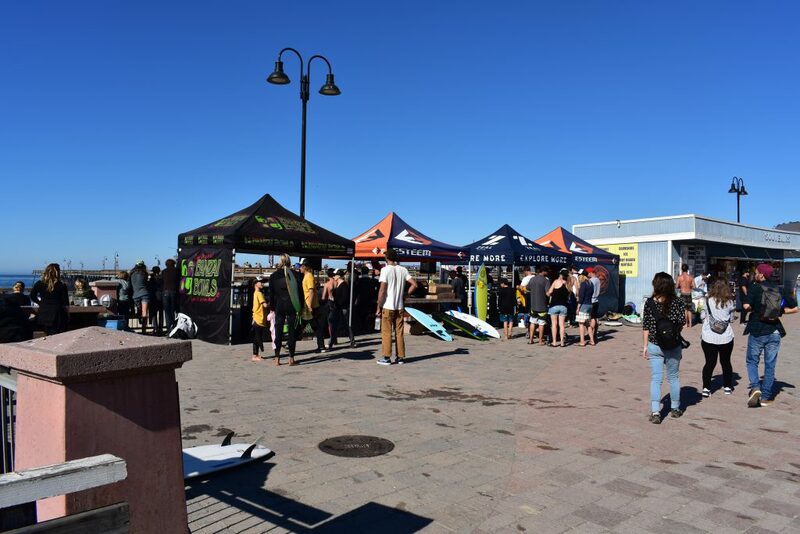 Saturday and Sunday have live music groups, plenty of festival food from roasted corn on the cob to hand-dipped ice cream cones, and other vendors and craftspeople, a surfing contest, Clam-themed parade, and for the first time this year an absolutely massive Kid’s Zone. 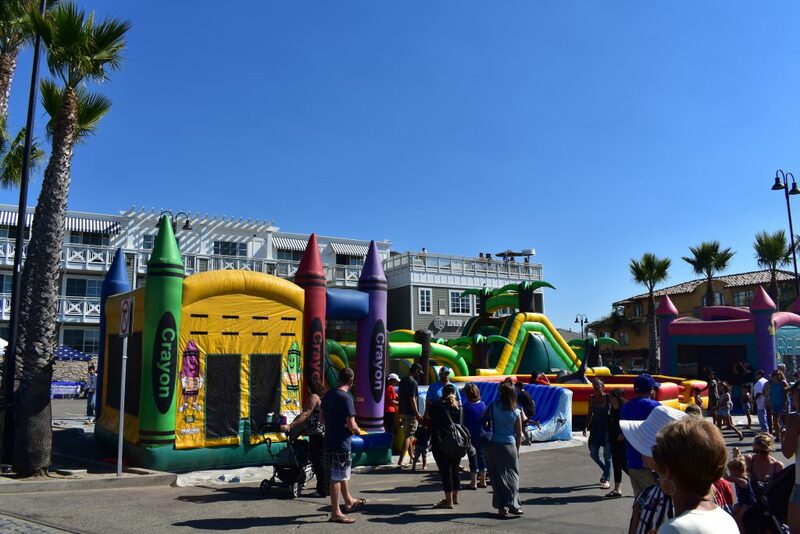 The Kids’ Zone was a huge success with both parents and their children. The Kid’s Zone was a collection of inflatable bounce houses and other activities, including riding on the back of a shark (who knew they could buck like a bronco? ), gladiatorial combat ring, giant slides, and more. It was an absolutely resounding success with kids and parents alike and I’m sure we’ll see it return in future years. 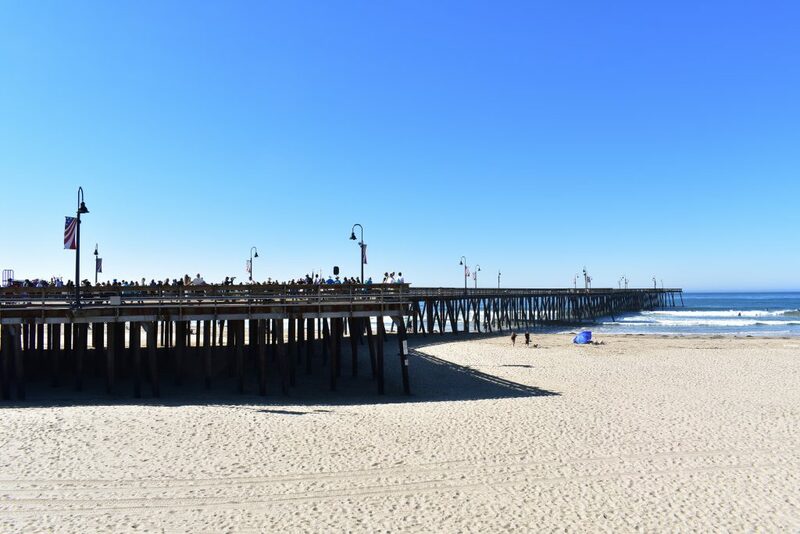 The 16th longest pier in California, this new pier was built to the exact specifications of the original 1924 “4-Diamond” Pismo Beach Pier. 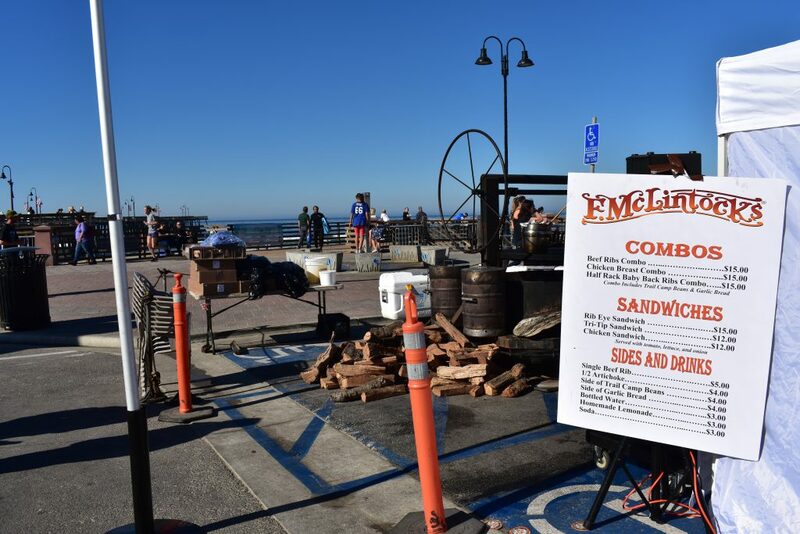 The Star of the 2018 Clam Festival, the Pismo Beach Pier was ready for its closeup! 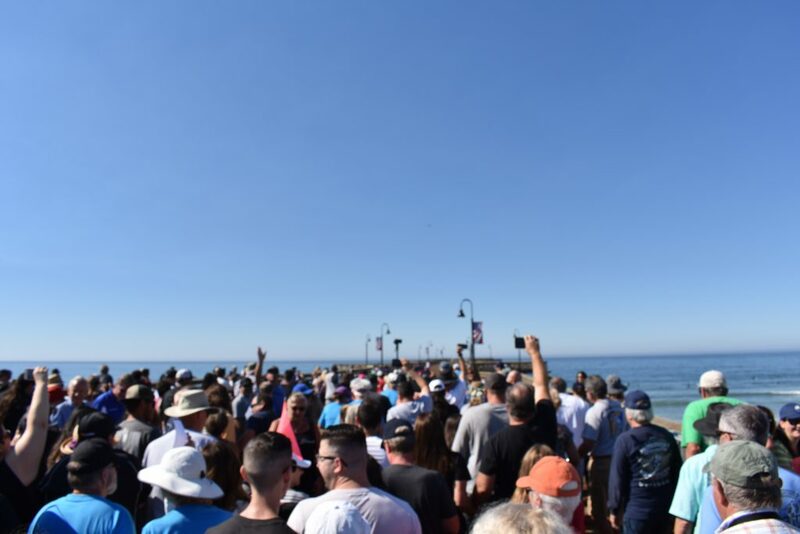 The 2018 Clam Festival was really special because it also included the grand reopening of the Pismo Beach Pier following an incredibly detailed, 18-month restoration and rebuild to the exact specifications of the original 1924 4-diamond Pismo Beach Pier. Immediately following the wonderful ribbon cutting ceremony presided over by Pismo Beach Mayor Ed Waage, who lauded the efforts of the city’s staff and those who oversaw or had major contributions to the project because they finished the project 8 months ahead of schedule and over half a million dollars under budget. Pismo Beach City Manager Jim Lewis speaks to the crowd gathered for the ribbon-cutting ceremony. 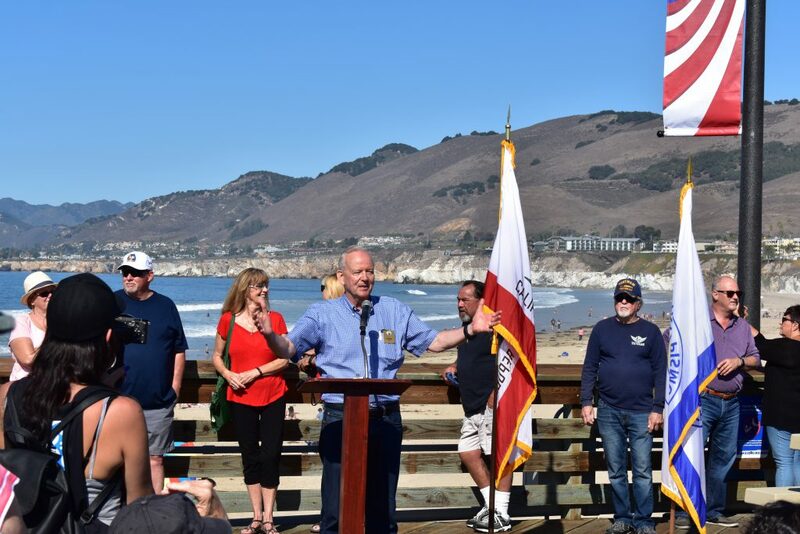 The Mayor of Pismo Beach, Ed Waage, thanked the City of Pismo Beach employees who made this amazing renovation possible. 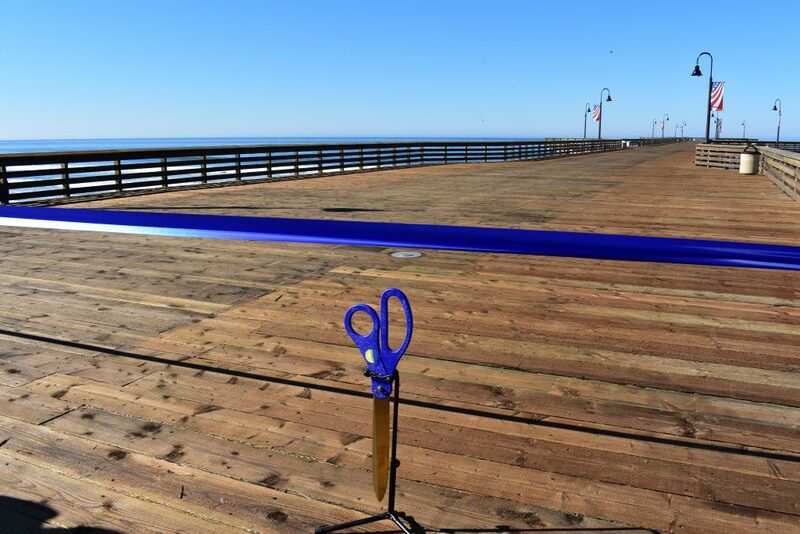 Armed with selfie sticks and under the watchful lens of a photography drone, a crowd of several hundred were the first members of the general public to stroll down the gorgeous new Pismo Beach Pier. 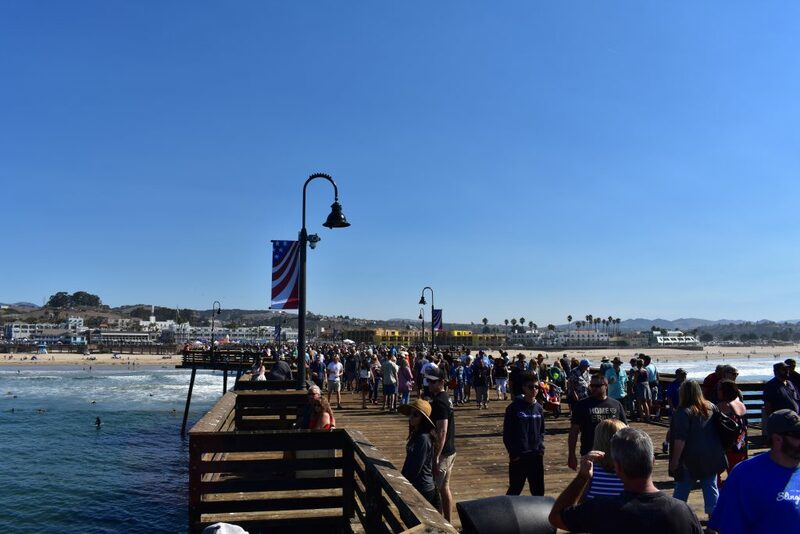 As was mentioned by the gentleman announcing the surf contest, the Pismo Pier is a place where people come together regardless of background to enjoy this breathtakingly beautiful place. Jim Lewis, Pismo Beach City Manager, I think said it best when he spoke of first dates, family reunions, deep conversations, toothy-grinned hellos, and tearful goodbyes that have taken place on the Pismo Beach Pier over the decades. The first group to walk the length of the refurbished Pismo Beach Pier. Some of the first members of the general public to be able to walk the full length of the new Pismo Beach Pier and look back toward town. 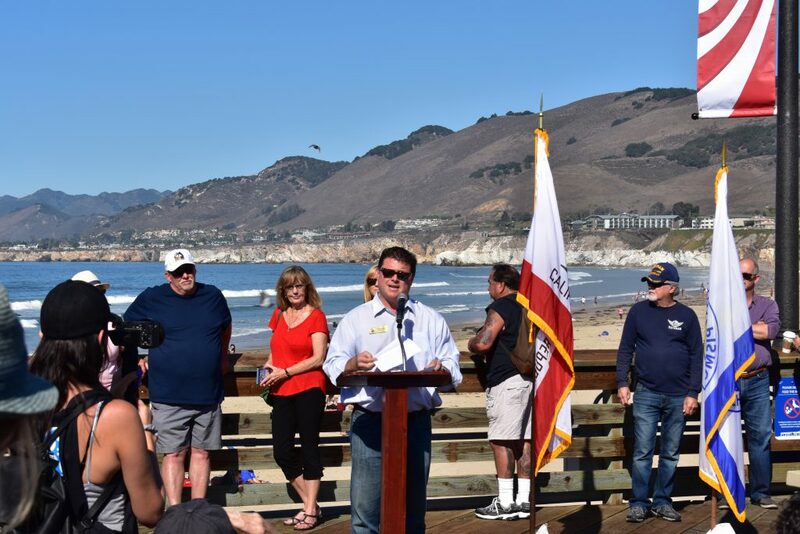 Part of the update to the pier included energy-efficient lighting, new fish cleanout stations, and additional utility access for future events. Local Artist Chris Petersen painted this awesome mural on the electrical equipment box. 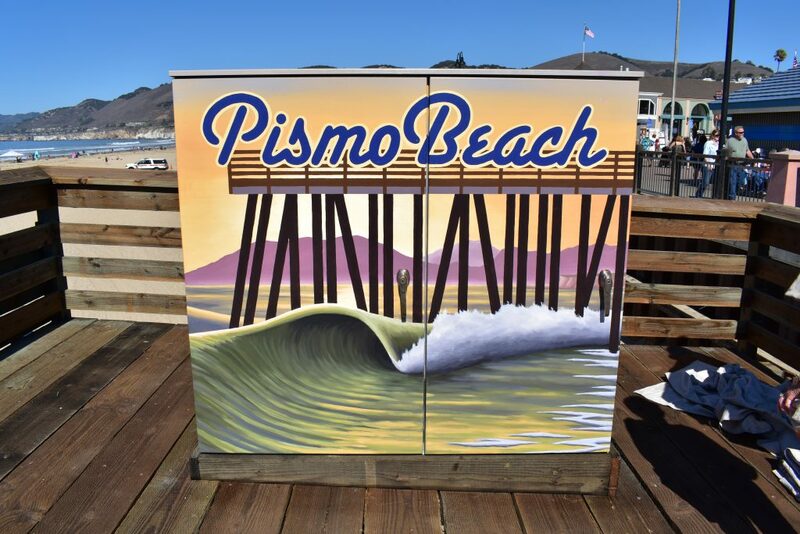 The first of many planned art installations on the new Pismo Beach Pier. This new Pier will be here to serve both residents and vacationers for decades to come.